The National Ignition Facility provides the scientific community with an unprecedented capability for studying materials at extreme pressures, temperatures, and densities. NIF is expected to achieve temperatures and densities almost an order of magnitude greater than those in the sun’s core and pressures far in excess of those at the core of Jupiter. The density of neutrons during the tens of picoseconds the NIF target undergoes ignition is expected to be 1033 per cubic centimeter. NIF experiments allow the study of physical processes at temperatures approaching 100 million kelvins, radiation temperatures of more than 3.5 million kelvins, densities greater than 1,000 g/cm3 and pressures of more than 100 billion atmospheres. These conditions have never been created in a laboratory environment and exist naturally only during thermonuclear burn, in supernovae and in the fusion reactions that power our stars. 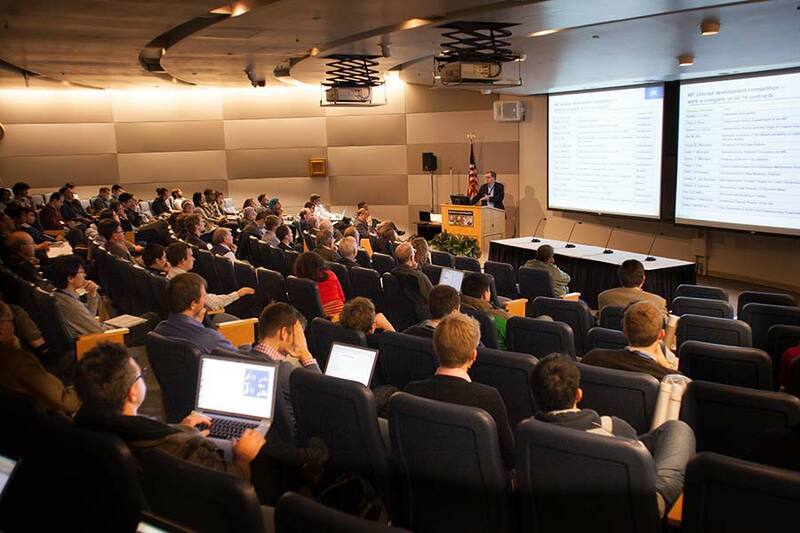 The NIF User Group includes researchers from the U.S. Department of Energy’s national laboratories, international fusion energy researchers, scientists from academia, and other national and international users. A broad external user community is an important element of NIF operations. We invite interested researchers and scientists to integrate NIF’s experimental capabilities into their research programs and to actively engage on the science use of NIF. Scientists planning NIF experiments may also wish to consider preparatory experiments at Lawrence Livermore National Laboratory’s Jupiter Laser Facility and other laser facilities across the National Nuclear Security Administration complex. The combination of NIF and Jupiter represents the most sophisticated, energetic, and diverse set of high-energy-density science research tools in the world available at one site. We encourage interested researchers to join the NIF User Group and contact NIF staff or Professor Don Lamb of the University of Chicago to discuss their research interests further. The user group meetings are typically held every year in February near LLNL. NIF will provide extraordinary opportunities for breakthrough experiments in a variety of fields. We look forward to building a strong NIF science user community and the opportunity to explore the frontiers of science on NIF.